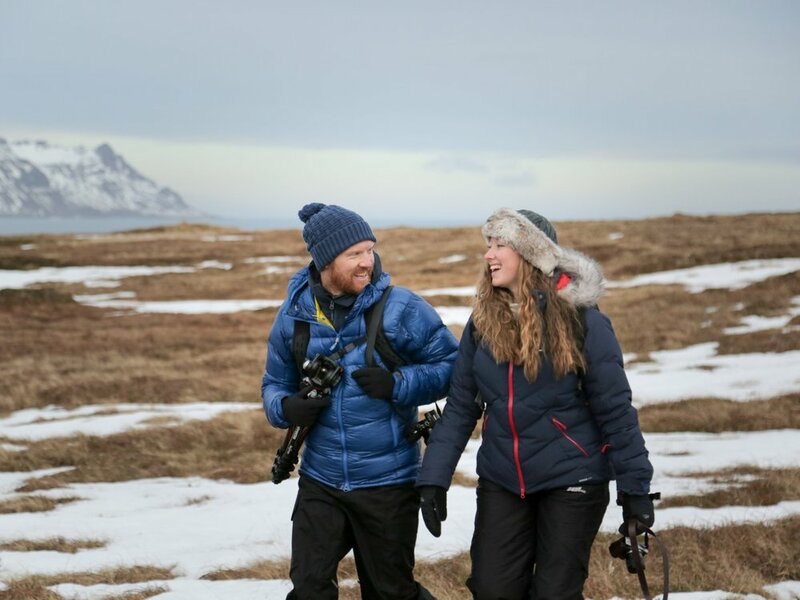 We're Dave and Emms, we live on a boat in London, run a social enterprise called SayYesMore which helps nudge people towards finding out what they're really capable of, and in September 2018 we're getting married! From long distance world records on skateboards and paddleboards, finding epic places to sleep and speaking to audiences all over the world, we've never been fans of doing the ordinary stuff - especially when it comes to travel. So we've decided to combine work with pleasure once we tie the knot, paying our way by creating content for destinations and building an online travel platform for non-conventional couples. We have a mischevious sense of humour, love oceans and wild places, sleeping in unique locations, gathering good people together, saying yes and sharing ideas that spark people's imaginations. And we're totally taking our bride & groom outfits on the honeymoon with us, for cheeky photos in the most epic locations. It was probably fitting that Dave had a cast on his left ankle when they first caught each other's eye. After years of adventure, living all over the world and beating their own path, Dave and Emms promptly moved onto a boat together. A year later they jumped onto a tandem bike, rode 1000 miles across Europe and got engaged on the banks of the Danube near Budapest. Emms writes like a dream, designs awesome graphics and can take a mean photo. She's a professional project manager and knows her way around a map. Dave has been a professional adventurer since 2005. He shoots and edits films, is super camera-handy, has a few books under his belt, speaks professionally about adventure and positive mindset, and founded SayYesMore, the YesTribe and the YesBus. 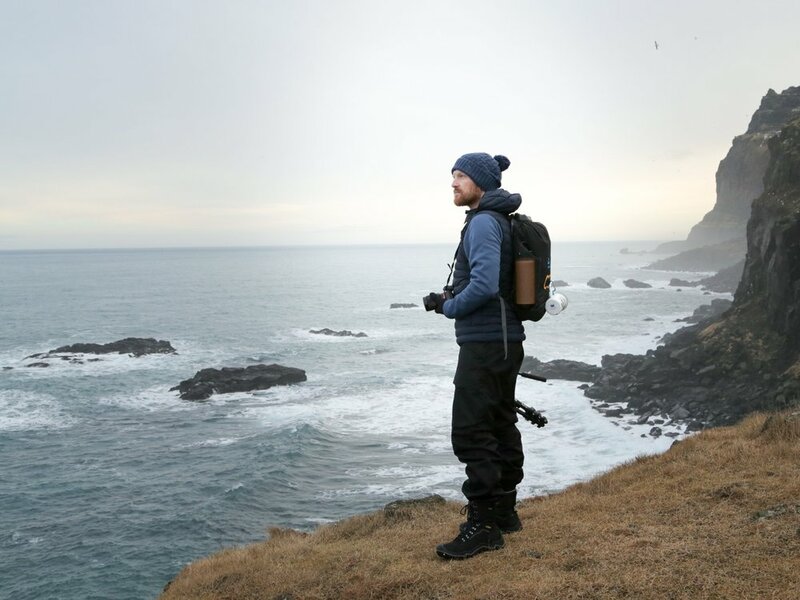 Between us we've led group expeditions and mindset trips from Iceland to the Mississippi River, shot content for outdoors brands and created the first ever single-use plastic free festival in the UK. We're building relationships with destinations and brands worldwide, using our honeymoon as the perfect springboard to launch a content-rich platform full of content for the non-conventional traveller. We love digging deep into a place, telling people’s stories, pulling back a layer or two and highlighting worthwhile, fun and innovative social projects, just as much as adventurous, romantic and photogenic offerings. Whether it's a backcountry hiking trip, a luxury hotel, jumping off a platform with a rope around our ankles or heading into the surf, we're experienced with all kinds of environment and situation. We travel light as would any adventurous couple, but with DSLRs, a drone and all the necessary editing and design software. Give us a table, beach, rock or paddleboard and we'll set up office with a smile. We're even starting to make VR films, to give people a completely immersive travel experience wherever they are in the world. While our social media audience is moderate at around 50k, we always share original photo and film content with our clients, meaning they can release it on their own channels and store the content on their platforms. We have great relationships with travel magazines, sites, networks, podcasts and blogs. Dave's previous non-motorised adventures (many of which have had a reach of over one million people) have captured worldwide media attention and we're always happy to engage with local and national press, radio and TV to add a little flavour to our visit. We're experience-led and always prefer to build long-term relationships rather than milk each job for all its worth. We're keen to balance work with play on this venture and while we need to make a little pocket money we're happy to consider heading to cool places in return for travel, shelter and food. Here's what our work is worth. We're happy to barter, so whether we exchange time + skills for cash, accommodation, flights, experiences or something else, let's get creative. Dave's main day keynote-giving job usually clocks in at £2500 - £3500 per event for a 45-60 minute lecture and general mingling, but more than happy to use this as a bargaining chip to make a destinations visit happen. He also runs workshops from adventure planning to making films with smartphones. Perhaps a little treat for your team? And suffice it to say, every single thing we do at your destination will find its way onto our website, archived with links right back to you for adventurous travellers to find forever more. Here are just a few things we'd love to do on our honeymoon. It's called a Yes List because 'Bucket Lists' are totally motivated by death and we're quite keen on the living! Emms has lived in Sierra Leone, set up goodwill marathons and helped raise hundreds of thousands of pounds for charities. Dave has skateboarded across Australia, paddleboarded the Missisippi and ridden a waterbike along the Norwegian coastline.